Geo Fencing officially known as Geofence is a virtual barrier for a real world geographic area. A geo fence can be generated dynamically like at particular radius around the store or any location. A Geofence is a like that of school attendance zones. Geofencing is a feature of software program of GPS with a space-based navigation system. It works when an unobstructed line of sight is there towards four or more GPS satellites. GPS provides location and time in all weather conditions and anywhere on the earth. Beacon is a small electronic device, a simple transmitter, which generally offer rooted support of identification. Beacon acts as an identification point for another electronic device which is enabled with some code to share the information to another device when it is in its vicinity. How does Geo-Fencing differs from Beacons? Geo-fencing and Beacon commonly came up with same functionality i.e. identification of boundaries which identify a user’s remoteness to a particular area. However a beacon cannot identify user location through map. Beacons are best for monitoring and serving content to micro locations where Geo-fencing are much better suited for monitoring entry and exit to larger areas like evenhanded events. Geo-fencing program uses the GPS (Global Positioning System) or RFID (Radio Frequency Identification) to define geographical boundaries. The boundary is defined by the admin and is sent with an SMS or Mail as an alert. Many geo-fencing apps mostly integrated Google Earth, agreeing admin to define boundary on topmost of a satellite view to spot exact geographical region. Some other applications also express limits by longitude and latitude or over user developed and Web-based maps. All this system of monitoring and tracking works on the combination of GPS, cellular data and also Wi-Fi data combined. Historically, it was more about the cellular data, which your operator will send out the messages when you have breached the particular location. Now we have moved from the cellular data level to application level geofencing. One type of geofencing is active geofencing, when the app is open in your device and you are engaged with that experience. But of course Users/customers are not going to walk around every time with their app open. So another type of geofencing is that which occurs in background state. The geo-fencing system triggers the event when user enters a specific area. This monitoring works when in active state as well as in background state. Multiple active geofences can be created. For each geofence, location services can send notifications during entrance and exit events. Duration can also be specified within the geofence, to wait or dwell before triggering an event. Geofencing apps use location data through the classes of the Location framework. This framework allows to monitor the device’s current location. This offers a highly configurable way to get the current location and track changes. The core location framework allows to locate current position of device and also provides periodic updates as it receives new or improved data. Any app that needs high-precision location data or a very regular stream of updates, requires the precision in the standard location service. Geo fencing can be used for child location services, that can notify parents if child leaves a predefined area around school or any other location. In some organisations, Human Resource department can use geofencing for monitoring employees that works in special locations and mostly for those who do field works. An employee can also log his attendance using geofencing tool in a GPS enabled device, when they are present in a designated perimeter. Use of geofencing in security strategy model gives security to wireless local area networks. With the popularity of smartphones and mobile advertising, geofencing is also being used for sending location specific notifications to customers on their mobile devices, when they enter in that pre-designated zone. If the app is not running, then also the system relaunches it in background so that it can process the event. In background services, all of the regions that you configured previously are made available in monitored regions property. Thus, the app is woken up/relaunched when system detects that the user entered/exited the desired region. Geofencing through apps is not the type of cell-tower geofencing that is done at an operator level. This type of geofencing through apps requires the customers/Users to download your app for location services, which means that you can track that Users were there. The way geofencing app works is the monitoring for a specific location, and it only lets your server or platform know, when they have breached that particular location. 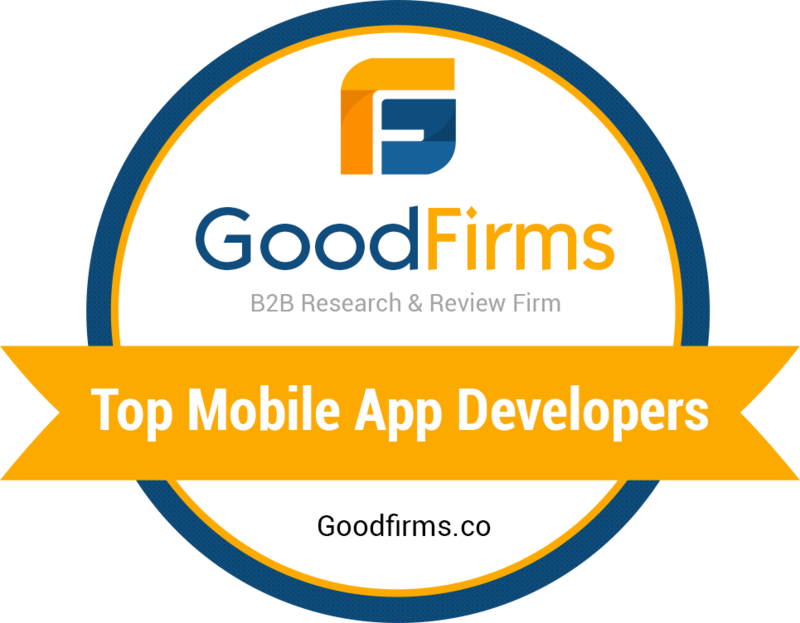 Krify has developed the custom geofencing apps as desired by our clients. We have developed some apps based on geo-fencing that can constantly monitor the location of User, Children, Employee or Students. Thus helps in tracking and monitoring the entry and exit of people and assets from the designated region. Toyota Landcruiser is the app we have developed for Toyota Australia. Its key features are: Reward points mechanism; Geofence technology Scoring system; 3G or Wifi technology auto-detection. Our Geofencing apps also includes apps like Relish, Kuggle, Park Shark and other. View All in Apps Portfolio ! Expert GPS, GEOFENCING and RFID – Mobile Apps Development Company Krify !